You are the current highest bidder! To be sure to win, log in for the live auction broadcast on 20 Feb 2019 18:00 GMT or increase your max bid. 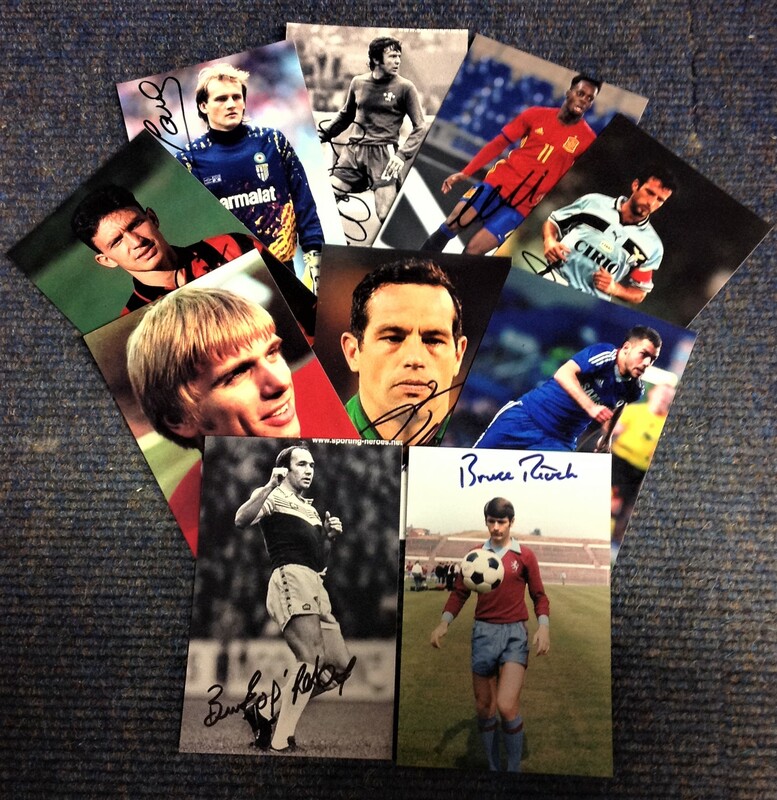 Football collection ten 6x4 signed photos from players from around the world past and present signatures include Bruce Rioch, Bryan Robson, Alan Evans, Stefan Eranio, Guiseppe Favalli, Inaki Williams and John Hollins. Good Condition. All signed pieces come with a Certificate of Authenticity. We combine postage on multiple winning lots and can ship worldwide. UK postage from £3.99, EU from £5.99, Rest of World from £7.99.